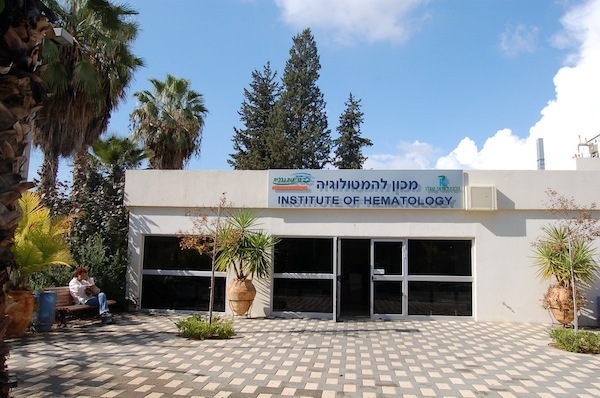 The hematology center provides diagnostic and treatment services for both malignant and benign hematological diseases. Benign diseases are usually anemia, genetic diseases such as Thalassemia and G6PD enzyme deficiency, as well as anemia deriving from unbalanced nutrition, iron deficiency, and anemia during pregnancy. The center also monitors patients who are at risk of developing thrombosis due to problematic coagulation in which case the staff is able to perform all required inquiries and provide suitable treatment. The hematology center treats patients with malignant diseases — chronic and acute leukemia, lymphoma, and myelodysplastic syndrome most commonly seen in elderly patients. 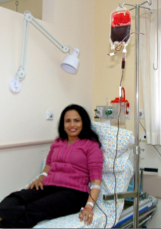 Chemotherapy is administered at the ambulatory unit and blood transfusions are also available. It is important to note that the center collects stem cells of which 2/3 are hemato-oncological.